FC Bayern, Borussia Dortmund, Schalke 04, TSG Hoffenheim and RB Leipzig have all been eliminated in European competitions. The last remaining club holding up the German flag is Eintracht Frankfurt. So far, the Hessians have done so with flying colors, as none of the ten previous matches in the current Europa League season have been lost to coach Adi Hütter’s team. After an immaculate preliminary round, the Champions League relegated Shakhtar Donetsk and Inter Milan were recently forced to their knees. 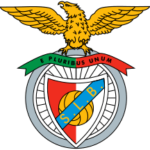 In the quarter-finals of the second most important European club competition is now waiting with Benfica Lisbon another well-known touchstone, who was also present in the group stage of the premier class, there, however, only finished third behind Ajax Amsterdam and Bayern. The impressive strength of form of the SBU and the performances shown in the course of this season lead somewhat surprisingly that between Benfica and Frankfurt Frankfurt lower odds for the advancement of the Bundesliga are offered. In order to actually preserve or improve the chances of jumping into the semi-finals, on Thursday evening in the first leg in the Portuguese capital, a good result is needed and in the best case at least one away goal. 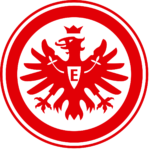 Just how difficult the game will be from an Eintracht point of view is shown by the fact that the “Os Encarnados” have not lost a single home game in the Europa League. For this reason, it would certainly be advisable to go to Benfica vs. Lisbon. To give Frankfurt a cautious prediction and not let itself be de-rationalized by the recent impressions of the Hütter-Elf. These days and weeks, the Irish record champions are likely to continue to resent the fact that Luka Jovic was once lent to Eintracht Frankfurt at a ridiculously low price of € 200,000 and that he negotiated a fixed purchase option of six million euros. Of course, the Hessians will take this option and will sooner or later sell the Serbian attacker to a top European club for more than 10 times that amount. Strictly speaking, the “Os Encarnados” is not to be blamed, because during his short time in the Portuguese capital, Jovic was struck primarily by disciplinary problems and could not hint at his existing footballing potential. On Thursday evening, Benfica’s reunion with the 21-year-old boy prodigy, ranked second in the Bundesliga top-scorer list and associated with clubs such as Bayern Munich and Real Madrid, is back. Luka Jovic certainly will not lack motivation. If we pay the odds of bookmakers between Benfica Lisbon and Frankfurt, then the team of coach Bruno Lage even has the relatively poorer cards in the fight for the semi-finals. At least from a statistical point of view, this thesis must be critically questioned, after all, the Portuguese have prevailed so far in all three knockout duels against German representatives in the Europa League. In addition, the “scarlet” in the recent three quarter-finals appearances in the Europa League also always in the semifinals. The first leg on Thursday evening at the Estádio da Luz logically has a trend-setting character, especially since the “Àguias” in front of a home crowd are much more appraising than in foreign countries. This assessment is made clear by the fact that the Lisbon have never lost in the club’s history in the UEFA Europa League. 18 wins face three draws. A small “but” must be allowed at the site, however, because in the past 14 European games in front of their own fans, the record champions never managed more than one goal. In the sum there were even only ten scored hits in this period. In this respect, purely a technical point of thumb between Benfica and Frankfurt should be kept in mind for fewer goals. The current state of the situation Elf can be seen with twelve wins and a draw from the last 13 league games very well. The dress rehearsal over the weekend was 4-1 in Feirense on schedule and consoled reasonably over it, that Benfica in the Portuguese club trophy in the city derby against Sporting with 0: 1 last week drew. The Primeira Liga standings are leading the Eagles ahead of FC Porto thanks to a better goal difference. Frankfurter still need fear before the coming opponent, because even at home against Galatasaray in the 1/16 finals (0: 0) and also in the second round against Dinamo Zagreb (1-0) Benfica did not necessarily stain with fame. For the most part, coach must relinquish his position only to supplementary players. Only the yellow suspension against the experienced striker Jonas could turn out to be a problem. Slowly but surely one of the superlatives for Eintracht Frankfurt. With seven wins and four draws, the Adlerträger are currently behind FC Bayern Munich, the second-best second round team in the Bundesliga. If one also includes the Europa League games in the consideration, the Hessians are still unbeaten after 15 competitive games in the calendar year 2019. In the top German league, the Hütter Elf last celebrated six consecutive victories and in the knockout stages of the UEFA Europa League, the two Champions League relegated Shakhtar Donetsk and Inter Milan felt the full force of the buffalo herd of the Main. That luck seems to be on Eintracht’s side was also evident at the weekend, when fourth-placed Schalke were awarded a penalty in the 99th minute of the away game, which Luka Jovic converted to a 2-1 winner. With four points ahead of fifth, it is far from unlikely that Adi Hütter will sit on the bench of a premier-class player next season. The future music should not be played too loud around the Riederwald, because in the here and now, the SGE, especially at the international level, still a lot before. To improve the prospects for the semi-finals, it would undoubtedly be of great importance if the residents of Frankfurt make at least one away goal on Thursday night in Lisbon. Anyone who has watched the self-confident Hesse in recent weeks and months, will also rely in the first leg in the Portuguese capital, that the protected of the Austrian coach Adi Hütter start boldly and offensively. Because the hosts are under a lot of pressure and have to submit, will inevitably arise opportunities for switching black and white in the switching game. For this reason, in the duel Benfica against Frankfurt against the prediction that the Eintracht scored the first goal of the evening, certainly not too far-fetched. The Adlerträger are once again supported by thousands of fans who have so far made a lasting impression on other European countries. Around 10,000 supporters of the Bundesliga fourth have already secured their tickets and will once again make the guest appearance in the Portuguese capital a perceived home match for the SBU. Historically speaking, the traveling sympathizers need hardly have any concerns that their team loses the pitch as a loser, because since seasonally crossing 14 Europa League matches, the Frankfurt are now unbeaten. The record in this competition is held by Atletico Madrid (15 games). In fact, in 20 matches there was only one defeat (15 wins, four draws), five years ago at Maccabi Tel Aviv (2: 4). Europa League and Eintracht Frankfurt – it just fits! The failures of Russ, Tawatha, Chandler and Stendera are hardly significant. However, the personalities of Rode, Gacinovic and Haller, who all set out on their journey to Portugal and are confident that they will be able to work, are more worried about their concerns. 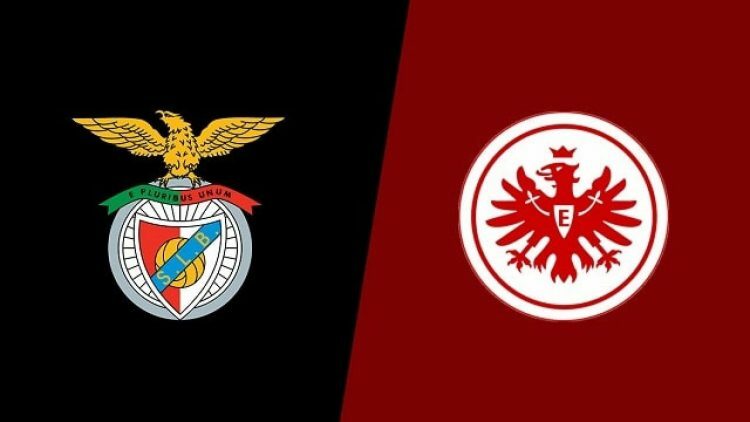 Benfica Lisbon and Eintracht Frankfurt face each other for the first time in a competitive match on the European stage. For the SBU it is only the third game against a Portuguese representative. In the semifinals of the Europa League 2013/2014, the Hessians were out of action due to the away goal rule (2: 2, 3: 3). Benfica, however, already denies the 47 match against a Bundesliga club. The overall balance is negative and yet it was enough in all three knockout duels with German clubs to progress. Football Germany will be looking forward to the Portuguese capital on Thursday evening. Benfica Lisbon meets Eintracht Frankfurt. Even the odds for the quarter-final first leg in the Europa League indicate that it will be a close affair, which creates the two teams in the coming week, the semi-finals. For the first meeting, the home side will be credited slight advantages, which are primarily due to the home strength and the good form. For that reason, between Benfica Lisbon and Frankfurt, however, a risk to risk home victory seems a bit naive to us. The SBU remains unbeaten in 15 competitive games in calendar year 2019 and recently scored six Bundesliga victories in a row. The self-confidence on the Main is unbroken and the numerous fans will do their part to ensure that the Adlerträger will deliver a magical European Cup night on Thursday. Because in the much-anticipated Portuguese-German duel, the quotations on the Double Chance X / 2 or the “Draw No Bet” are too low in relation to the probability of occurrence, we have decided to give Benfica between Lisbon and Frankfurt an alternative tip.